Useful to produce the finest cutting of grass due to light weight cylinder mower . Specification for "Falcon LG0004 Rotary Drive Electric Lawn Mower, 1200 W"Brand NameFalcon Cutting Edge Width34 cmModelROTO DRIVE -33Part NumberLG0004Power1200 wattSpeed3500 rpmTSINT26FLO0004TypeElectric Lawn MowerKey FeaturesAdjustable cutting heights -7 (20mm-70mm). With our vast industrial knowledge and skills, we are providing an extensive range of Petrol Operated Lawn Mover. The Petrol Operated Lawn Mover we offer is operated using petrol and known for their high performance. Our offered Petrol Operated Lawn Mover are sturdy and reliable. Self-propelled Rotary Roller Mower Features Light weight designed ABS deck makes mower easy to push. High density ABS deck for added durability arid extended life Self-propelled Rotary mower with roller which makes grass leveled. Single lever deck height adjustment, adjusts all wheels at once. Full width ribbed rear roller for a striped finish Extra large grass bag with dust proof net. Backed by the latest German technology The Clean Sweep is the generation next lawn mower. For a well-kept and well-trimmed lawn it’s the only easy solution. 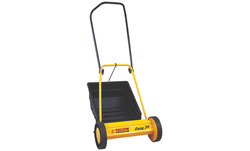 We have in store for our clients a wide range of wheel type push mowers which are used fro various gardening work. These are light weighted and compact which make these easily movable and easy to use. 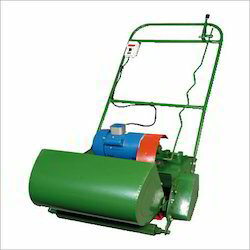 Moreover, these can cut the grass of larger width with utmost ease. We can provide these in customized sizes and specifications as per the requirements of the clients.